The Conveyair range of grain vacs from Jetstream offers an efficient tool for moving grain from pits, sheds, silo's, trucks and storage bags. 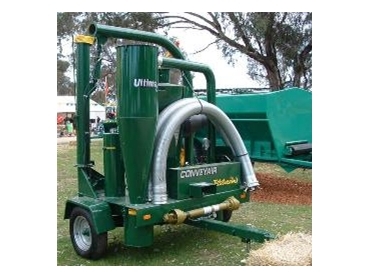 Conveyair grain vacs comprise heavy duty, positive displacement blowers with a Cyclonic Blower Protection System (CBPS) that cleans all grain in a safe manner. Conveyair grain vacs include quality components for optimum performance and offer a high level of safety for operators.